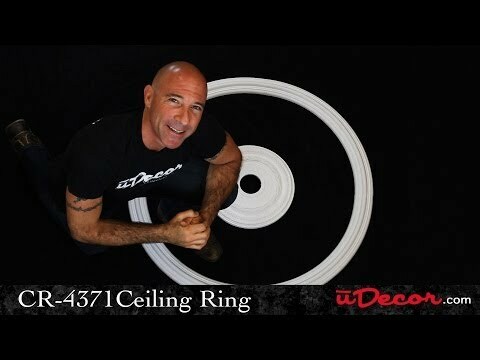 The CR-4371 Ceiling Ring is 42" across the outside. The molding is 3 1/4" wide and protrudes 1" from the surface. The open space inside the ceiling ring is 35 1/2". Assembling the four pieces was slightly difficult, I preassembled all four pieces and glued them together with reinforcement at the back and later on applied to the ceiling. The final out come was great.